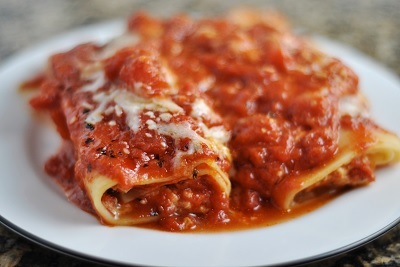 Baked Manicotti Fairly easy to make and delicious. 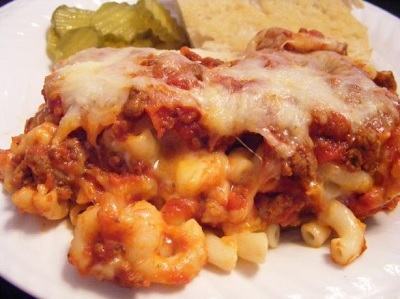 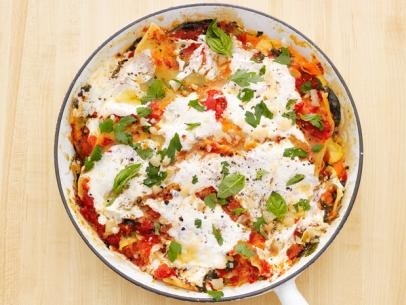 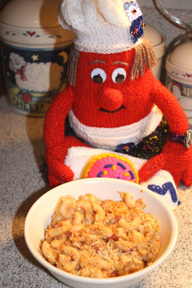 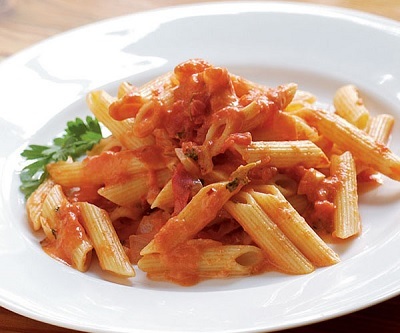 Baked Ziti An easy to make but delicious pasta dish. 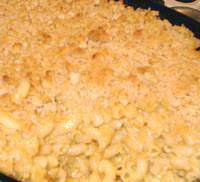 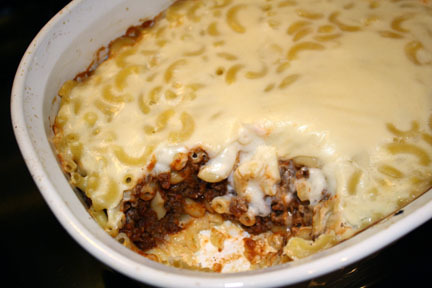 Beef and Macaroni Casserole The perfect comfort food. 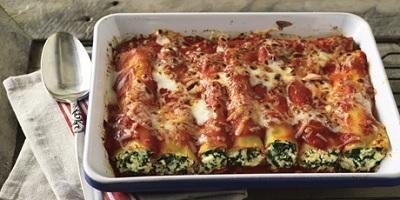 Cannelloni A traditional Italian dish using two types of sauces. 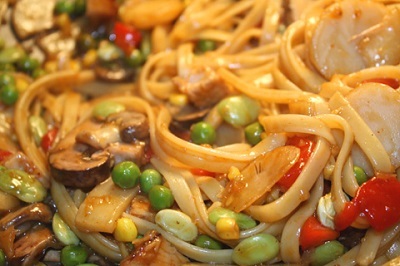 Char Siu Noodles A great use for leftover Char Siu. 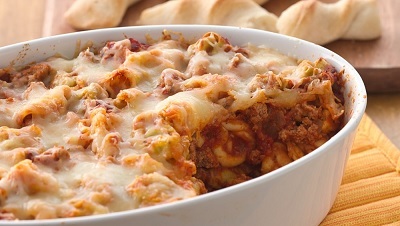 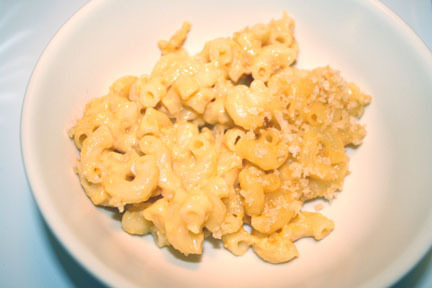 Cheesy Baked Tortellini An easy to make cheesy dinner. 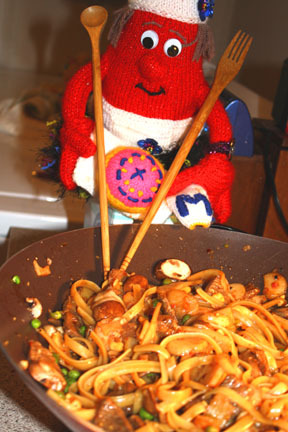 Chinese Noodles with Barbecue Pork A little sweet with a little heat. 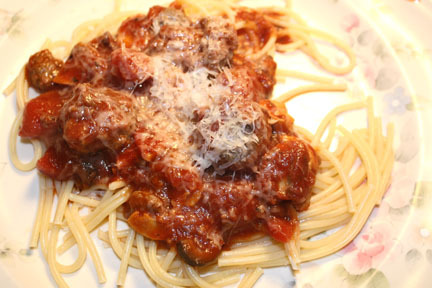 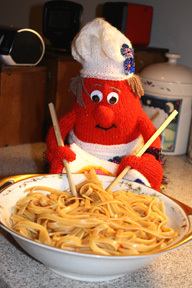 Cold Weather Spaghetti with Meatballs A great way to use up leftovers when it is snowy and cold outside. 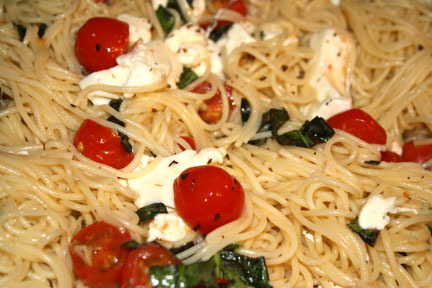 Flying High Pasta This was the first dish I created in our new place on Hawks Nest. 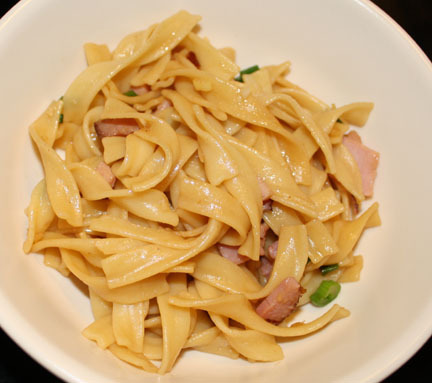 Hot and Spicy Chinese Noodles with Ham An easy to make and wonderfully spicy noodle dish. 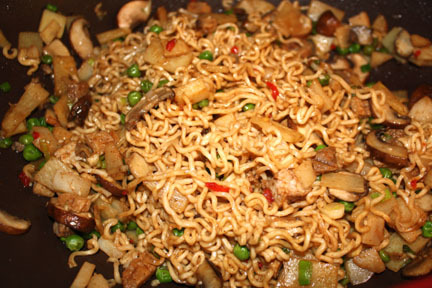 I Wanted Chinese Noodles Sometimes all that sounds good is Comfort Food. 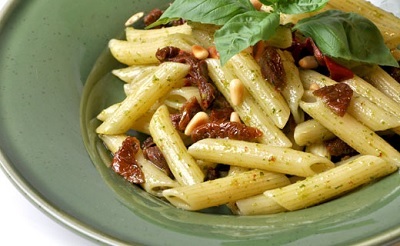 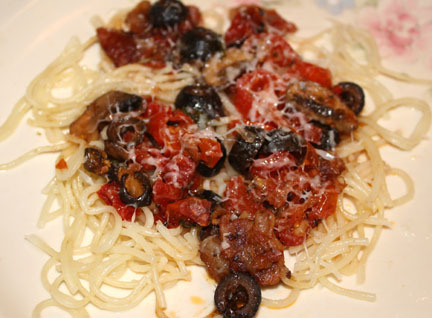 Italian Pasta with Bacon Very easy to do and delicious at the same time. 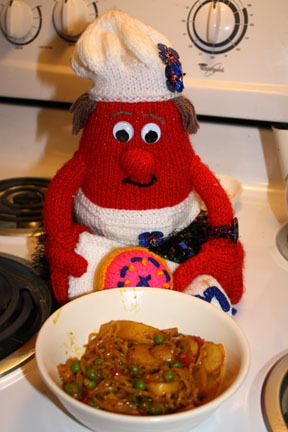 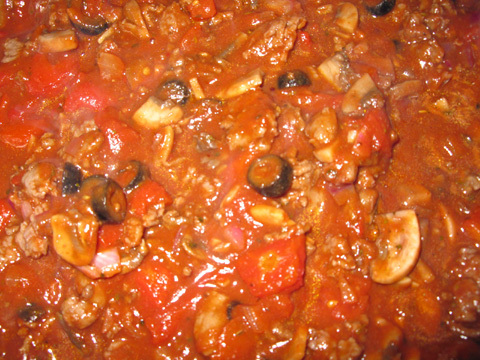 uses a combination of beef and sausage. 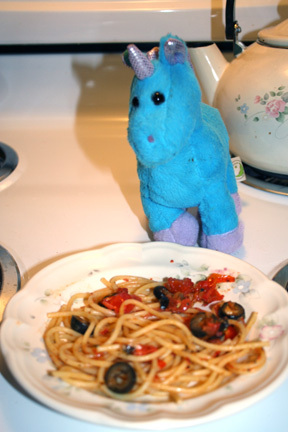 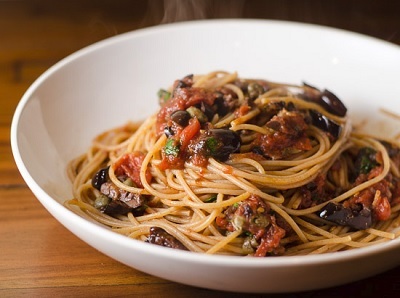 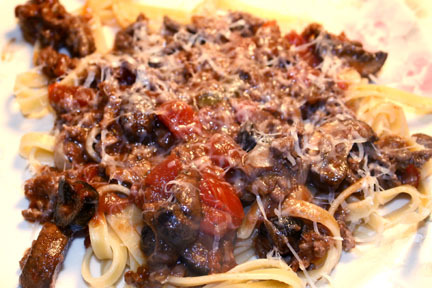 Meat and Mushroom Spaghetti An easy to make spaghetti with just a hint of heat. 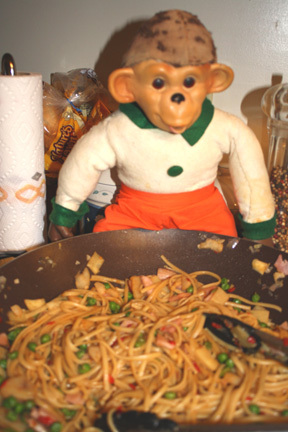 Monkey Noodles It is the Chinese Year of the Monkey and I'm craving Chinese. 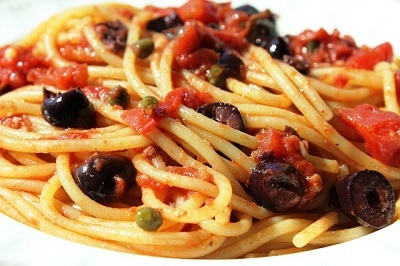 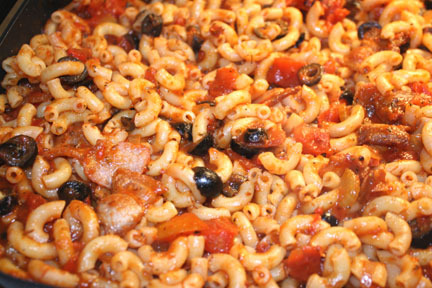 Pasta Puttanesca A great pasta with very few ingredients. 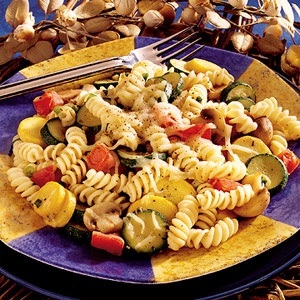 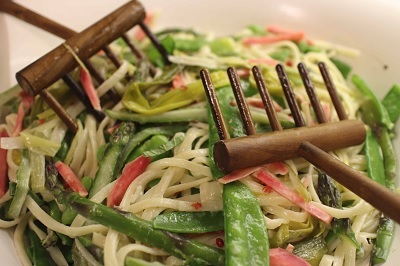 Pasta with Garden Vegetables The possibilities are endless with this recipe. 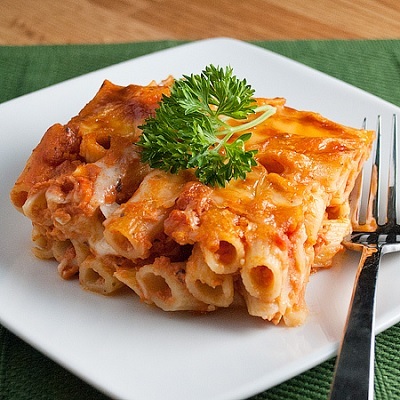 Pastitsio A traditional Greek dish made with either lamb or beef. 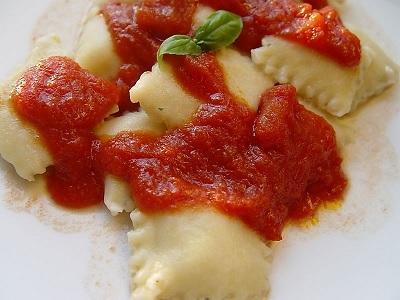 Ravioli with Cheese and Spinach Three kinds of cheese make these ravioli extra special. 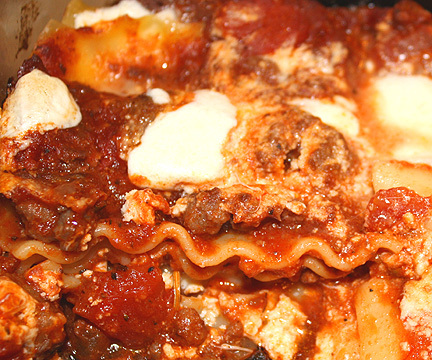 Skillet Lasagna An easy way to make lasagna in just one pan. 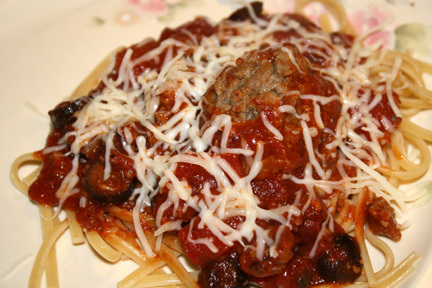 Spaghetti and Dijon Meatballs A traditional favorite with a spicy kick. 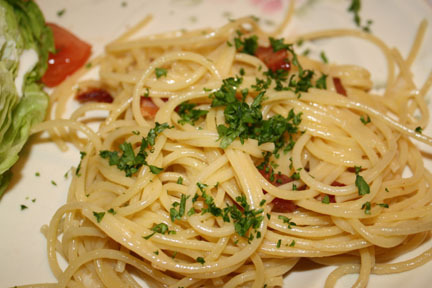 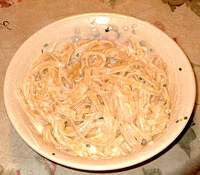 Spaghetti Carbonara Just a handful of ingredients but oh so good. 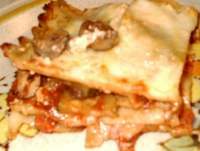 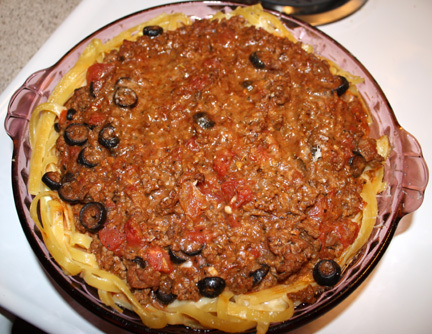 Spaghetti Pie A great main dish where spaghetti forms the pie crust. 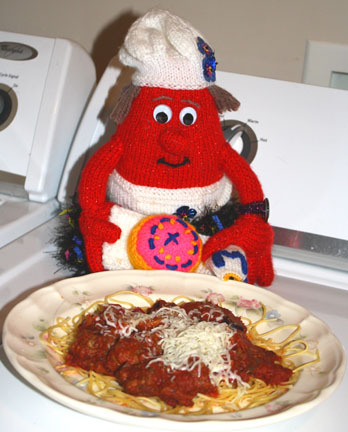 Spaghetti with Italian Sausage Meatballs A delicious way to do spaghetti. 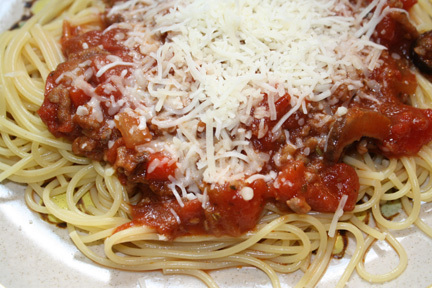 Spaghetti with Marinara Meat Sauce A great tasting version of an old family favorite. 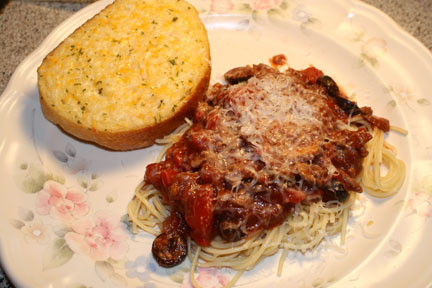 Spaghetti with Meat and Mushroom Sauce A great way to make spaghetti. 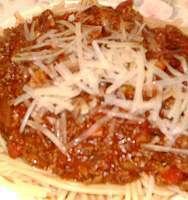 Spaghetti with Meat Sauce An easy but delicious tomato based sauce. 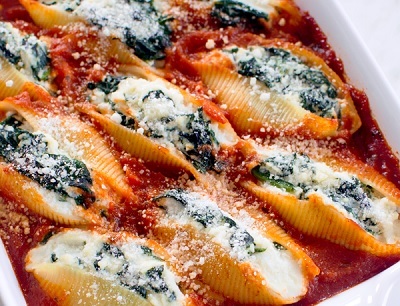 Spinach and Mushroom Stuffed Shells This recipe is so good you won't even miss the meat. 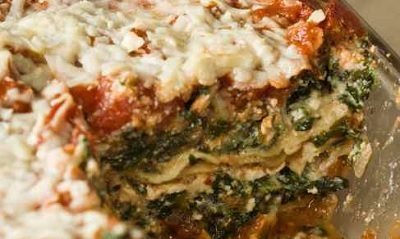 Spinach Lasagna An easy to make vegetarian lasagna. 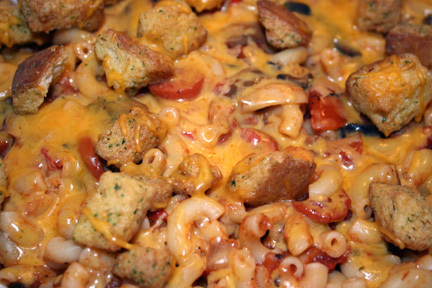 wake your taste buds up! 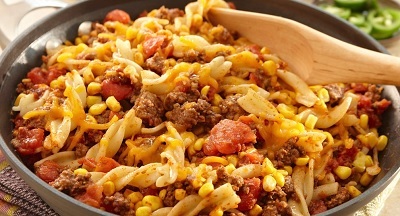 Tex-Mex Skillet Pasta Dinner An easy to make meal with only one pot to clean. 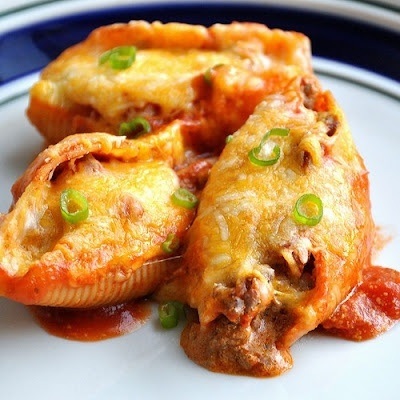 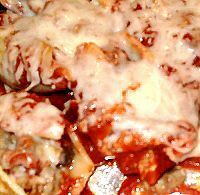 Tex-Mex Stuffed Shells A South of the Border twist to a typically Italian dish. 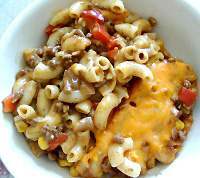 This and That Pasta Casserole A great way to use up leftovers. 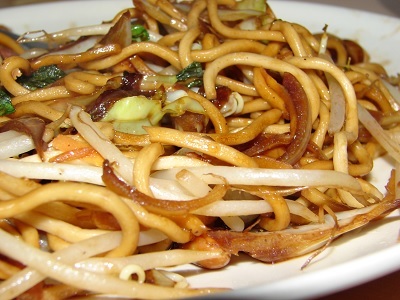 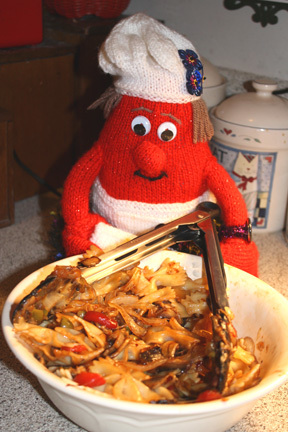 Vegetable Chow Mein One of my favorite Chinese dishes.